Traditionally, small private colleges have had to struggle to survive. This is the story of one such college that not only has survived, but flourished. 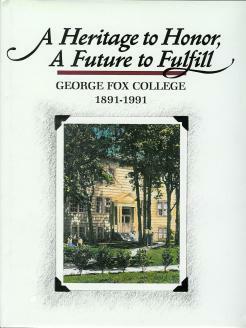 In A Heritage to Honor, A Future to Fulfill, author Ralph Beebe traces the 100-year history of George Fox College, founded by Quaker pioneers in Newberg, Oregon. Within these pages are tales of the academic successes, traditions, student pranks, athletic victories, and people who have made George Fox College what it is today--a caring educational community committed to the Lordship of Jesus Christ.